Budget Self Pack Containers | Save Up to 50% Today ""
If you’re looking for budget self-pack containers in Australia, look no further than You Pack Removals—the experts in affordable, interstate moving. Whether you require a self pack moving containers in Melbourne, Brisbane or even Perth, we have depots located all across Australia to reach clients in every Australian city. Budget self-pack containers should never compromise quality, which is where You Pack Removals stands out amongst other budget self-pack container companies. We provide the highest level of customer support through the entire self-packing removal process. Whether you need packing materials to begin or moving advice when planning your relocation, we have a dedicated team to support you. 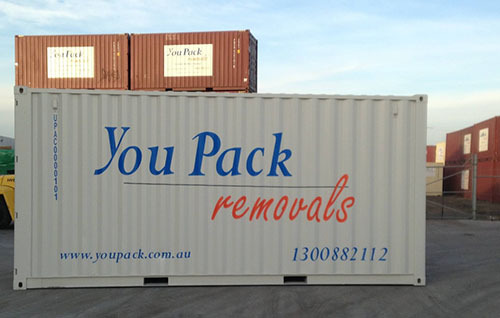 self pack removals are becoming the first choice of many Australians looking to relocate interstate. It is a less stressful, more affordable option to move and the process allows you to actually enjoy the exciting adventure. When considering a self-pack container company, it is important to consider the company’s experience, values and customer reviews. You Pack has been delivering the highest quality of service to customers for years and the testimonials on our website are only a small indication of all the happy customers we’ve helped. If you want to save more on your next move, self-pack containers are the answer for you. You Pack Removals offers container removals solution that allow you flexibility to move in a seamless, stress-free matter. Why spend money on expensive removalists when you can self-pack and save—then you can treat yourself to a holiday after! That sounds pretty good to us!